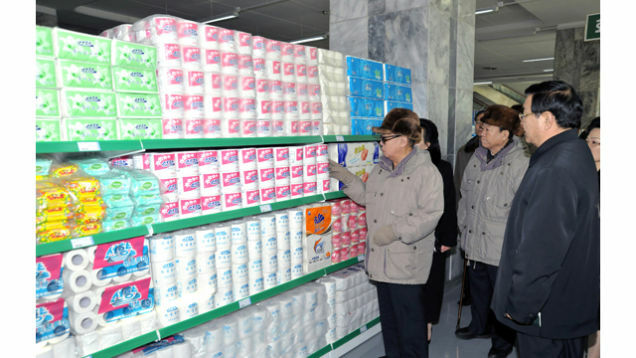 When Kim Jong-Il died Saturday he was on a train finishing up one of his frequent "field guidance tours," which are famous on the internet for the surreal photos they produced of Kim looking at everyday objects. 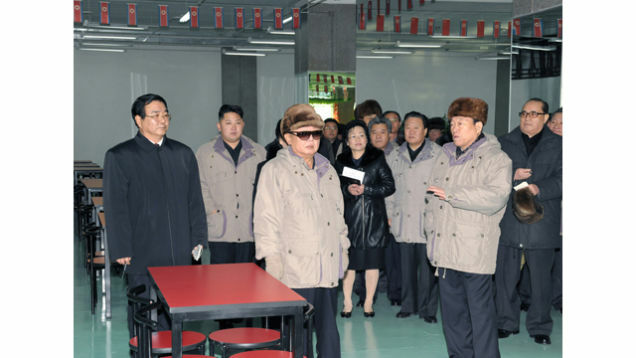 Here are photos taken during the last stop on Kim's last tour, about two days before his death. 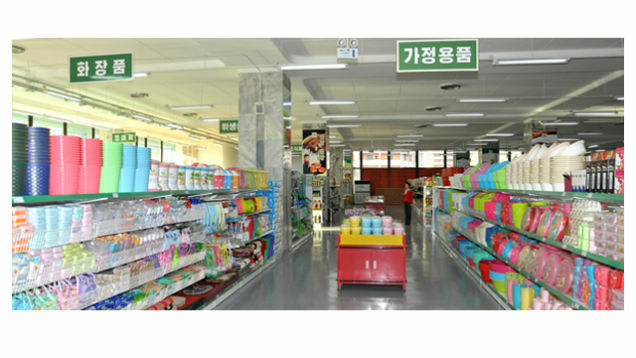 According to the the South Korean newspaper Chosun, the photos were taken last Thursday at the Kwangbok street shopping center, North Korea's first supermarket. 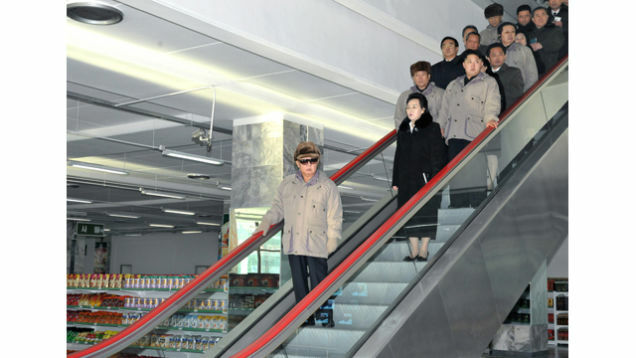 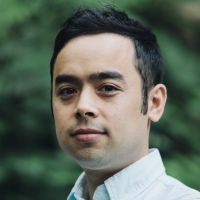 They were released by North Korea's Central News Agency on Saturday, apparently after they knew Kim was dead, but before the official announcement. 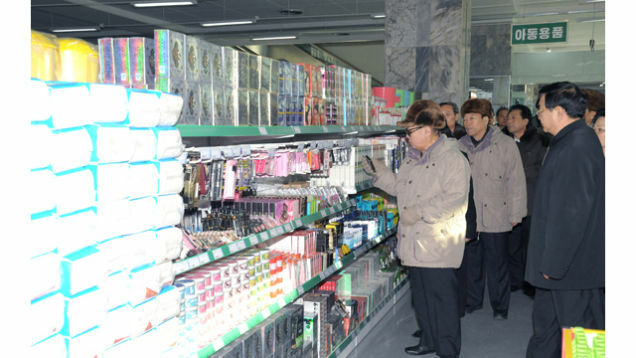 In the background of many of the photos you can see Kim Jong-un, Kim Jong-il's son and the new twenty-something leader of North Korea. 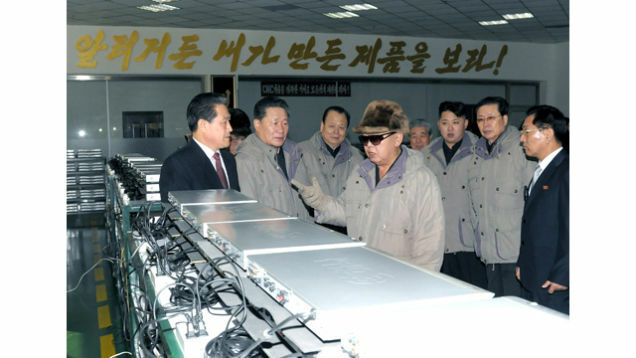 Someone alert the Kim Jong-il Looking at Things Tumblr.